We offer an extensive range of products for all applications. Some of these are not displayed on our website due to the vast array of different roof cladding products available for a wide variety of applications to suit each and every one of our customer's specific requirements. Agribild® is already Ireland's most popular roofing and cladding product for animal housing and farm buildings. It is Grant approved. Colorgalv® is our low cost roofing and cladding product for low-humidity farm buildings used for non-animal applications such as general storage, grain storage etc. Teglites, Condri and Flashings and other accessories are available for the complete solution. 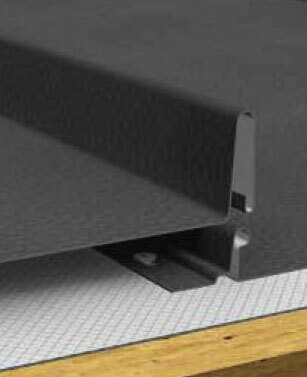 Our range of insulated roof & wall products provide a choice of quality pre-engineered systems that are fully insurer approved and meet the latest regulations on thermal performance and airtightness. Our Non-drip cladding with integrated anti-condensation film is an industrial non-woven textile product that has been applied to the underside of the roofing sheet. It provides up to 1 Litre/m2 absorption capacity which is the best available on the Irish market. Convenient and cost effective are two terms that perfectly describe this new roofing system available from Patrick Lynch Roof Cladding. Seamlap is a steel raised seam metal sheet roofing and cladding product with the advantage that�it does not require specialist tools. Convenient and cost effective are two terms that perfectly describe this new roofing system available from Patrick Lynch Roof Cladding. It is a quickly installed alternative to traditional roofing and is manufactured using the latest technology to facilitate a straightforward installation whilst offering the aesthetic and charm of time-honoured materials like lead or zinc. The principle is simple and effective. A flat pan sheet features simple edges known as laps that fit over and under each other, either side of the sheet. These laps sit over a stainless steel clip that is fixed to the support structure. The laps are mechanically folded over the clip to secure the roof. We supply Comflor® Composite Flooring products and systems for modern commercial and industrial construction. Large areas of deck can be installed rapidly - up to 400m2 laid by one team per day. Comflor® uses considerably less concrete than conventional reinforced concrete construction.